Miss Jane Chapman is a Turner Sims Fellow in Music at the University of Southampton. Described in The Independent on Sunday as 'Britain's most progressive harpsichordist', Jane Chapman is at the forefront of creating and inspiring new music for harpsichord. She has premiered over 200 solo, chamber and electroacoustic works for the instrument worldwide. Equally passionate about baroque and contemporary music, she has collaborated with ground-breaking composers, artists and dancers, working with musicians from the worlds of Indian music, jazz, and the avant-garde. She is a frequent partner in chamber ensembles, such as the newly formed Trio Aporia, which specialises in contemporary and baroque music on period instruments. 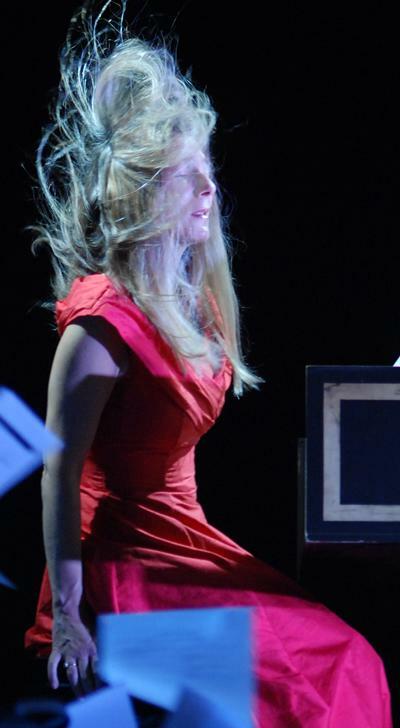 Through her innovative performances, she aims to bring the harpsichord to a wider public, and to combine repertoire in ways that engage and challenge her audiences. Chapman's recordings include a three-CD set of 17th century music from the Bauyn Manuscript, described by The Times as 'stylish and eloquent', and selected as a Critics' Choice by Gramophone Magazine. Her other recordings for Collins Classics under the title of 'The Lady's Banquet' - harpsichord and spinet music of the 18th century - have been highly acclaimed, and Volume 1 was chosen by BBC Music Magazine in its top fifty recordings for that year. She has recorded contemporary works for NMC, Sargasso and ARGO, and her recording of 'Rounds' by Berio for the New York based Mode label was NY Times pick of the year for 2006. Recent releases include Three Windows (Dark Energy) - a CD of contemporary works for harpsichord and electric guitar by Mark Wingfield featuring jazz saxophonist Iain Ballamy,; and WIRED (NMC) - which includes premieres of solo and electroacousic works for harpsichord by James Dillon, Paul Whitty and Paul Dibley, Sam Hayden, Mike Vaughan, Roger Redgate, Paul Newland, and Sohrab Uduman. She has also recorded for the NMC Song Book, electroacoustic works by Simon Emmerson (Sargasso), and a CD which includes works for prepared piano (Kate Ryder) and harpsichord for Albany records. Recent performances include Peckham Car Park as part of London Contemporary Festival, juxtaposing works by the 18th century composer Royer with electroacoustic pieces by Paul Whitty. She was adjudicator for the British Harpsichord Society Composition Competition, and the Horniman Composition Competition, where young composers were invited to write specifically for the newly restored Kirckman harpsichord. Current research includes the first transcription of Indian music for harpsichord, the Oriental Miscellany (1789) which has been supported by a fellowship from the Leverhulme Trust. Chapman, J. (Performer). (2015). The Oriental Miscellany. Performance, Signum Classics.